Like clockwork, Mr. Prevention and I strike the Sunday blues between 1 and 3pm each and every Sunday. You know, that lull of the weekend almost being over and the quickly approach, long work week. There we were at 1pm yesterday, staring at one another, deep into our Sunday blues. Pathetic. Being the antsy soul that he is, Mr. Prevention insisted we get outside. It was a beautiful day and his prod was just what I needed to snap out of the blues, get some exercise, and enjoy Sunday…if only for a bit. We headed about 8 minutes from home to a state park. We seriously need to take advantage of all the nature and hiking paths around more often. We hiked about three-fourths of a mile before coming to a fork in the road: sand dune #1 or sand dune #2. We challenged ourselves and headed up the steeper of the two. A smaller few dunes later, we arrived at the prettiest view of Lake Michigan yet. The waves were crazy and the sand was white, soft, and stunning. The sky was a beautiful — bright blue with just a few fluffy clouds. Paradise. Unlike all of the beach-goers, we continued hiking along the beach, filling our shoes with sand. We eventually arrived to where the greenery met the water and we paused to take in the views. We were looking at one another when all of a sudden a wave of water comes up and over our feet. All we could do was laugh. It was 3.8 miles of Sunday bliss before retreating back into the inevitable Sunday blues. 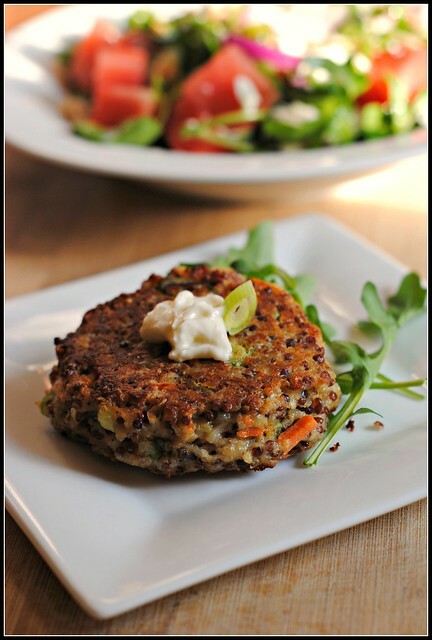 Much like Sunday afternoons, I made these quinoa patties with a sour attitude. I don’t have an answer as to why I make things that I truly believe will be a flop, but I was completely intrigued by this concept. I was willing to risk the flop in exchange for being wrong and the enjoyment of a healthy, new vegetarian delight. Besides, Mr. Prevention was out of town and worst case scenario, there’s always leftovers. Or cereal. I’m always down for cereal. Low and behold, these BLEW me away. Really. I wanted to eat all 8. I stopped at 2 and added a salad, but they were truly that good. I also appreciated that unlike a lot of “cakes” and “patties” (crab, salmon, etc. ), these held together without any effort at all. I love when I’m wrong…sometimes! Who has a reason for me to not hate Sundays? 😉 I’d love to be wrong about that and shake my Sunday blues! Bring 2 cups of water to a boil in a medium sauce pan. Add the quinoa, stir, and return to a boil. Cover and simmer for about 12 minutes. Remove from heat and allow to steam, with lid on, for 15 minutes. Fluff with a fork. In a medium bowl, combine the cooked quinoa with the carrot, onion, salt, and pepper. Stir in the eggs, bread crumbs, and cheeses until well blended. Form the mixture into balls and then flatten into 1-inch thick patties. Heat 1 tablespoon of oil in a large skillet over medium heat. Add 4 of the patties and cook 6-8 minutes or until golden brown. Flip and cook an additional 2-3 minutes, until browned. Remove to a plate lined with paper towel to absorb excess oil. Repeat with remaining oil and patties. While patties cook, combine the mayonnaise, yogurt, salt and pepper in a small bowl. 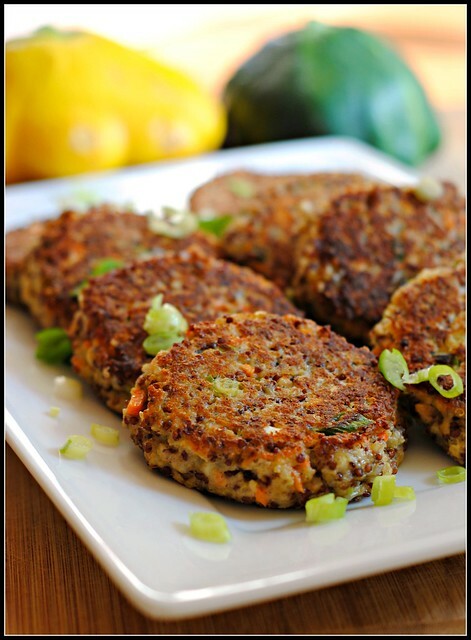 Serve hot quinoa patties with remoulade. Yield: 8 patties (about 3 1/2 inch diameter, 1 inch thick) with 2 teaspoons remoulade each. Result: I LOVED these! Loved, loved, loved. Mr. Prevention resisted trying them (I did make them when he was out of town, so he tried leftovers), and even he loved them. My mother-in-law tried these as well…thumbs up from her. These were simple to make and you can prep the quinoa ahead of time for a faster meal yet. I was shocked at how much flavor these had and the dollop of remoulade was the perfect touch. I served these along side an arugula salad. I great, light summer meal! These look delicious! I’ve also had many ‘bad’ experiences with quinoa recipes but I love the darn grain so much I keep trying to find one’s that work! Can’t wait to make these! OK I bought quinoa after seeing another of your recipies, but I bought it in bulk, and I have yet to cook it because I’m not sure about the washing process. Do you have to wash it? If so how long? Thanks for the courage to finally try cooking it! Hi Suzanne! To tell you the truth, I never wash it…probably because I never eat it plain 🙂 If I do wash it, I just throw it in a strainer and run water over it for a minute or two before cooking. Good luck with quinoa…in the right recipes, it’s delicious! I love quinoa so much!! Good luck at your game! 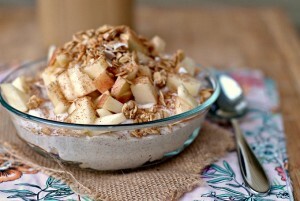 I don’t know why, but I think of quinoa as a fall grain – need to fix that! Hope you score a goal! Yum. These are getting made tonight. Ok, I admit I was about to skip over this recipe because I have some favorite veggie burger-type recipes and I thought I didn’t need another. But I truly trust your recipe opinions now (congratulations (: ) and I wanted to read what you thought of them. I’m so glad I did! One of my biggest complaints about veggie burgers is the fact they won’t stay together or remain too mushy even after cooking. Granted most I’ve made are also vegan, so they don’t have the egg to bind them together, but we’re not strictly vegan, so I look forward to trying this recipe sometime. Maybe next week! Thanks! I’m so glad you liked these! And thanks for the remoulade idea. I knew these needed a little something on the side. So glad that you liked this. As of now, I have Sundays off cause I work 4 tens. But don’t get too jealous. They just told us that after years of this schedule we are going back to 5 day work weeks. Not sure what it is..working 5 days or working 4 days then having to go back to 5. So I will be looking for tips to help with my Sunday blues as well! 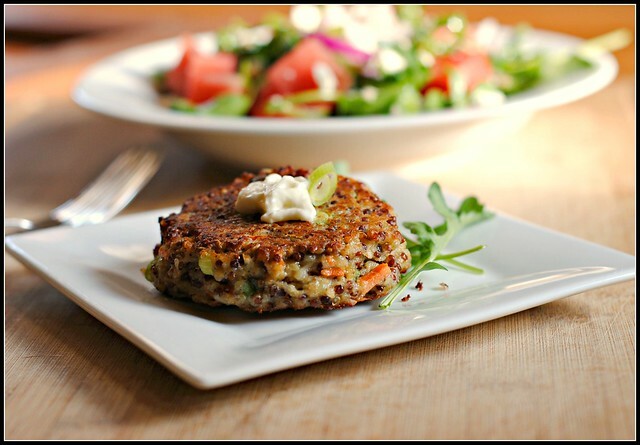 Have you ever tried these quinoa burgers from Eating Well Living Thin? 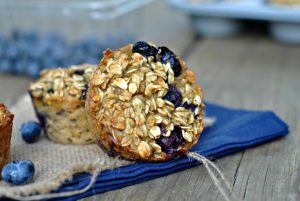 I’ve made them several times, and they are fantastic! Made theses tonight and they were very good. Made half with the original recipe and half with the ever so loved bacon. Only probably 1/8-1/4cup. Gave them an extra saltiness. Also added some green onions to the remoulade topping. Yum! Yep, I get the Sunday blues, too, what Douglas Adams called the dark teatime of the soul. Maybe the cure is to plan something fun for Sunday afternoon or evening? It seems to me that people tend to plan their weekend fun stuff for either Saturday or Sunday morning, so you’re left with the post-fun letdown on Sunday afternoon and you feel like you’re just waiting for the weekend to end (or you’re catching up on all the chores you were supposed to get done over the weekend). Since I like to cook, I often make a more involved meal for Sunday dinner and that’s fun for me. We’ve also done “theme” nights on Sundays; for example, I found out my boyfriend had never seen the “Godfather” movies, so we had a Sicilian night with traditional Sicilian food and watched the first movie while we ate. Something like that would be a fun thing to look forward to, but wouldn’t keep you out late or otherwise get your week off to a bad start (i.e., involve drinking!) Or you could take your walk with a picnic basket and have dinner outside? Your Sunday hike is a great way to beat the summer blues. We call it the Sunday Sads and used to combat it by drinking champagne…every Sunday night. But clearly that was excessive, not to mention that it was giving champagne a bad association! Unlike you, I can only remember one bad quinoa recipe, the first I ever made. Everything I’ve made since has been awesome! I haven’t gotten around to making patties yet, but I definitely will soon. Tried this with quinoa leftovers which had parsley, cranberries and sunflower seeds in. I also added a bit of fresh ginger. INCREDIBLE!!!! Jo: I’m so glad you enjoyed these! I loved them SO much that I’m making a new version to go in my cookbook. 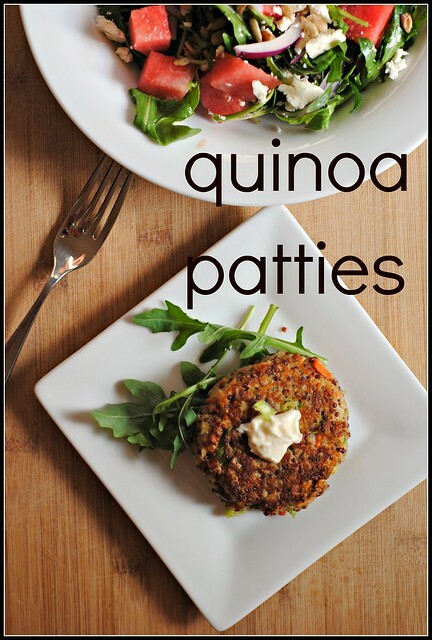 Quinoa patties are ddeeeeellliicccciiiooouuusss! These are amazing! I made them tonight and they were a crowd pleaser for the whole family. My 2 and 4 year olds gobbled them up (as well as the chicken tikka pizzas the night before)! Keep up the amazing work, you make eating nutritionally balanced meals easy and delicious!